Bounce into action with the NCAA Final Four Dribble presented by Buick. 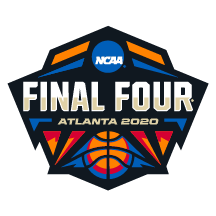 Youth ages 18 and under are invited to participate in this unique parade and FREE Final Four event, joining thousands of fans dribbling their way through the heart of downtown Atlanta. Cost: NCAA Final Four Dribble presented by Buick is FREE! Waiver: Waivers must be filled out by all participants as well as all chaperones. If you did not fill out a waiver during registration, please bring a printed copy with you. Click here to access the waiver. Once waivers are completed, you will receive a wristband that will allow entry into NCAA Final Four Fan Fest presented by Capital One at the end of Final Four Dribble without having to pass through security lines again. Start line: South 12th Street and 3rd Avenue intersection. Spectators: Parents/Guardians are encouraged to walk the route with their Dribbler(s). All Dribblers younger than 12 years of age must be accompanied by an adult. You can also meet your Dribbler outside of Fan Fest at the finish line. What time should I arrive at check-in in front of the Minneapolis Convention Center? And do I need to bring my own basketball? Check-in and on-site registrations begin promptly at Noon and ends at 1:45 p.m. on 2nd Ave. S., in front of the Minneapolis Convention Center between the main entrance hall and west end of the building. Please do not bring a personal basketball, as each pre-registered Dribble participant will receive a FREE basketball, courtesy of the NCAA and Wilson. Can a Dribble participant (Dribbler) register and attend the NCAA Dribble without a parent/guardian? We ask that all dribblers aged 12 and under be accompanied by a parent/guardian on the route. If participating in a group, one representative of a parent/guardian will suffice for a group of children. Waivers for EACH PARTICIPANT, (including chaperones, accompanying adult, patrons, etc.) should be completed prior to registering. Click here to download a printable waiver form. How do I register a group of Dribble participants? If you are looking to register more than one child to participate in the Dribble, the online registration page gives you the option to add participants. You are able to register up to 10 participants at one time. We ask that if you are participating in an organized team or group, please indicate on the registration form who that group/team will be. If your group is larger than 10 participants, please fill out the registration form again, or as many times as necessary until your full group is registered. I am registering a group but I am not the parent/legal guardian of every child participating in the Dribble. What do I do? Prior to entering your participants’ information, you will be prompted to enter your email address. Once your email address is submitted you will be able to enter all participant’s registration information and download a waiver. This waiver must be filled out for every participant (including chaperones, accompanying adult, patron, etc.) and brought to check-in if not completed on line. Also, your confirmation email will include a link to the waiver form. Is a parent/guardian allowed to register their child if the child is not present during on-site registration? Yes. All event day registration protocol must be fulfilled, but the participant does not need to be present. Do I need to register other adults attending with my child? Only children 18 and under need to be pre-registered online. Parents/chaperones may also pre-register to walk with their child/group at the event if the Dribbler is under the age of 12. Young children and other friends/family that are not registered are welcomed to attend and support the registered participants by lining the parade route to cheer on those in the Dribble. When is a Dribble participant’s age determined? All ages are determined as of event day. Therefore, all children ages 18 years and younger as of April 7, 2019, are eligible to participate in the NCAA Dribble. If more than 3,200 participants are registered, can I still participate in the NCAA Dribble? If the maximum number of 3,200 participants is exceeded, you are more than welcome to bring your own basketball and walk the NCAA Bounce route. A waiver will still need to be filled out on-site by all participants. Where are the start and finish lines located? Where will I meet my Dribble participant at the end of the route? Parents/Guardians are encouraged to walk the route with their Dribbler(s). All Dribblers younger than 12 years of age must be accompanied by an adult. You can meet your Dribblers inside of Fan Fest. If you did not register with your Dribbler and receive a wristband, you will need to enter Fan Fest though the main entrance and pass through security (you will not be able to use the same entrance as the Dribblers). Are pets and/or strollers allowed during the NCAA Dribble? Only service dogs and strollers are allowed on premises. Will the NCAA Dribble be cancelled for inclement weather? The NCAA Dribble will not be cancelled for inclement weather unless the weather is such that it will threaten the safety of the participants and attendees. What is Final Four Fan Fest presented by Capital One? The Final Four Fan Fest is for fans of all ages. As you take your first steps through the Minneapolis Convention Center doors, you’ll be greeted by a sports wonderland of interactive games, special celebrity and athlete appearances, autograph signings, and much more! Where can I obtain more information about events surrounding the NCAA Final Four?